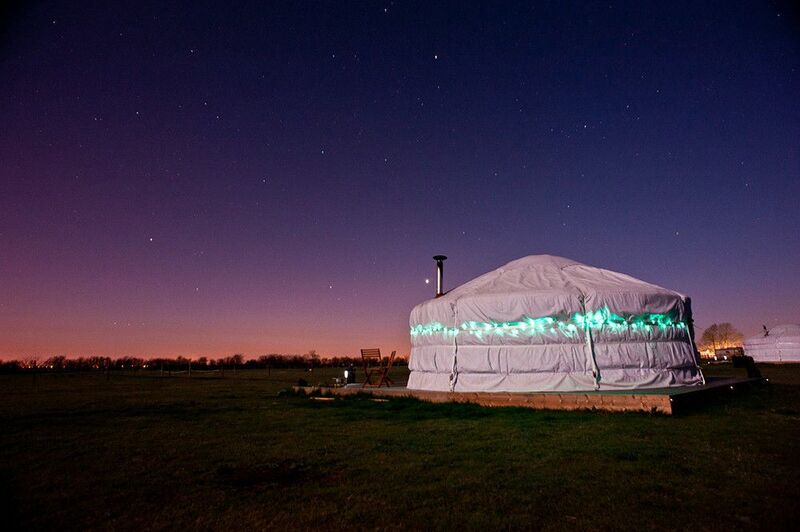 Vast, expansive Lincolnshire, with its long, beachy coastline and backed by the Lincolnshire Wolds, is an often underrated glamping destination. In fact, it is home to plenty of excellent glamping sites, all with dozens of attractions on their doorstep. 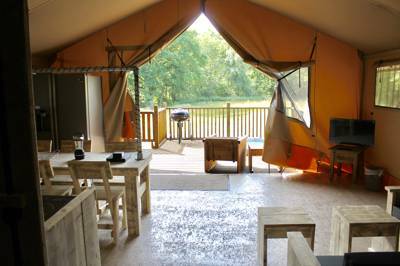 The Lion Safari Tent can fit up to a family of 6, all with hot tubs and Wifi provided along with bedding, robes and slippers to ensure you have all the creature comforts but yet still camping. Each lodge is equipped with a kitchen fitted with an induction hob, microwave, kettle, toaster and cooking utensils. You also have your very own private bathroom with overhead rain shower, toilet and sink. The lodges are situated in the quietest part of the park, away from everyone else. Lincolnshire is home to plenty of excellent glamping sites, all with dozens of attractions on their doorstep. Tipis, yurts, bell tents, glamping pods, shepherd's huts, gypsy caravans, safari tents, we've seen them all and brought together below a collection of only the very best. Browse our Glampingly picks of the top glamping sites in Lincolnshire below and book your next glamping holiday online today. Glamping sites in Lincolnshire, Lincolnshire glampsites at Glamping in Lincolnshire, Glamping in Lincolnshire: Browse the best Lincolnshire glamping sites, read reviews, check availability and book your glamping holiday for the best price.